"The first quarter marked our return to revenue growth as both our domestic and international markets posted positive gains." 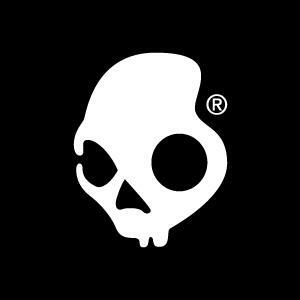 PARK CITY, Utah, May 1, 2014 (GLOBE NEWSWIRE) -- Skullcandy, Inc. (Nasdaq:SKUL) today announced financial results for the first quarter ended March 31, 2014. "The focused execution of our five pillar growth strategy led to a solid start to 2014," said Hoby Darling, President and Chief Executive Officer of Skullcandy. "The first quarter marked our return to revenue growth as both our domestic and international markets posted positive gains. Equally important, gross margins stabilized and we were able to leverage operating expenses while continuing to invest in key long-term growth drivers such as demand creation, innovation and talent. As a result, our bottom line performance improved dramatically from a year ago, putting us on course to exceed our original profit targets for the full year. We are encouraged by our current momentum and believe our commitment to culture and operational excellence is providing our teams the foundation to continue building remarkable products and developing deep, authentic connections with our consumer." Net sales in the first quarter of 2014 increased 5.5% to $39.1 million from $37.1 million in the same quarter of the prior year. North America net sales increased 1.3% to $29.0 million from $28.7 million in the same quarter of the prior year. International net sales increased 19.7% to $10.0 million from $8.4 million in the same quarter of the prior year. Included in the North America segment in first quarter 2014 and first quarter 2013 are net sales of $0.6 million and $2.1 million, respectively, of products that were sold from the United States to customers with a "ship to" location outside of North America. These sales represented an increase of approximately 1.2% to the International Segment, and an increase of approximately 7.2% to the North American segment compared to the same quarter in the prior year. Gross profit in the first quarter of 2014 increased 10.2% to $18.2 million from $16.5 million in the same quarter of the prior year. Gross margin was 46.5% in the first quarter of 2014 compared to 44.5% in the same quarter of the prior year. The increase in gross margin was primarily attributable to a shift in product sales mix into higher margin products, decreases in shipping related costs, and reductions in warranty related costs. Selling, general and administrative (SG&A) expenses in the first quarter of 2014 decreased 16.1% to $22.1 million from $26.3 million in the same quarter of the prior year. The decrease in SG&A expenses is primarily attributable to reduction in write-downs of tooling, fixtures and furniture, severance, performance-based compensation due to a change in accounting methodology which shifts the majority of the expense to later in the calendar year, and bad debt expense. As a percentage of net sales, SG&A expenses were 56.5% compared to 71.0% in the same quarter of the prior year. The Company continues to invest in marketing and demand creation efforts at the same level compared to the same quarter of the prior year with an increased focus on in-store displays and presence. Net loss attributable to the Company in the first quarter of 2014 was $(3.5) million, or $(0.12) per diluted share, based on 27.8 million diluted weighted average common shares outstanding. Net income attributable to the Company in the same quarter of the prior year was $(7.0) million, or $(0.25) per diluted share, based on 27.7 million diluted weighted average common shares outstanding. As of March 31, 2014, cash and cash equivalents totaled $48.2 million compared to $38.8 million as of December 31, 2013. The Company continued to have no outstanding debt. Accounts receivable decreased 37% to $36.4 million as of March 31, 2014 from $57.5 million as of December 31, 2013, which is consistent with the seasonality of our business. Inventory increased 5.9% to $42.7 million as of March 31, 2014 from $40.3 million as of December 31, 2013. For the second quarter of 2014, the Company currently forecasts net sales to increase between 5% to 7% over 2013 levels and net income on a GAAP fully-diluted basis to be approximately breakeven. For the full year 2014, the Company still forecasts net sales to increase in the mid to high single digit percentage range over 2013 levels. The company now expects net income on a GAAP fully-diluted basis to be between $0.16 and $0.20 per share, up from its previous expectation of $0.10 to $0.14 per share. A conference call to discuss the first quarter of 2014 results is scheduled for today, May 1, 2014, at 4:30 PM Eastern Time / 2:30 PM Mountain Time. A broadcast of the call will be available on the Company's website, www.skullcandy.com. Analysts and investors can participate in the live call by dialing (877) 407-0784 or (201) 689-8560. In addition, a replay of the call will be available shortly after the conclusion of the call and remain available through May 8, 2014. To access the telephone replay, listeners should dial (877) 870-5176 or (858) 384-5517 and entering conference ID number 13581157. Skullcandy is the original lifestyle and performance audio brand inspired by the creativity and irreverence of youth culture. Skullcandy designs, markets and distributes audio and gaming headphones and other accessory related products under the Skullcandy, Astro Gaming and 2XL by Skullcandy brands. Skullcandy was launched in 2003 and quickly became one of the world's most distinct audio brands by bringing unique technology, color, character and performance to an otherwise monochromatic space; helping to revolutionize the audio arena by introducing headphones, earbuds and other audio and wireless lifestyle products that possess unmistakable style and exceptional performance. The Company's products are sold and distributed through a variety of channels in the U.S. and approximately 80 countries worldwide. Visit skullcandy.com, or join us at facebook.com/skullcandy or on Twitter @skullcandy. Certain statements in this press release and oral statements made from time to time by representatives of the Company are forward-looking statements within the meaning of the Private Securities Litigation Reform Act of 1995. In particular, statements regarding the Company's anticipated future financial and operating results and any other statements about the Company's future expectations, beliefs or prospects expressed by management are forward-looking statements. These forward-looking statements are based on management's current expectations and beliefs, but they involve a number of risks and uncertainties that could cause actual results or events to differ materially from those indicated by such forward-looking statements. Important factors that could cause actual results to differ materially from expectations are disclosed under the "Risk Factors" section of the 2013 10-K filed with the Securities and Exchange Commission ("SEC") on March 14, 2014 and in any subsequent reports the Company files with the SEC. Readers are urged not to place undue reliance on these forward-looking statements, which speak only as of the date hereof. The Company does not undertake any obligation to update or alter any forward-looking statements, whether as a result of new information, future events or otherwise.